Last Friday I popped over to the Montage Hotel, a gorgeous hotel located around the corner from Rodeo Drive in Beverly Hills. 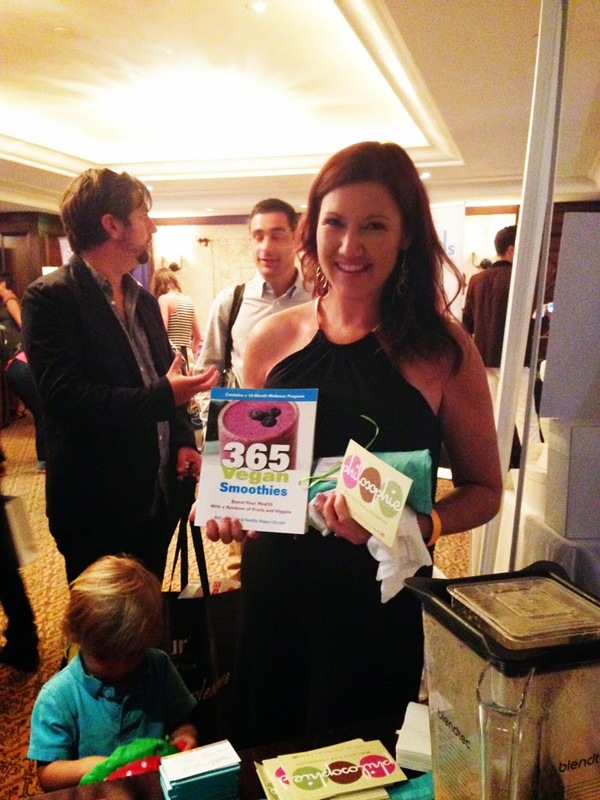 I was there to attend a celebrity gifting suite to promote my book 365 Vegan Smoothies. 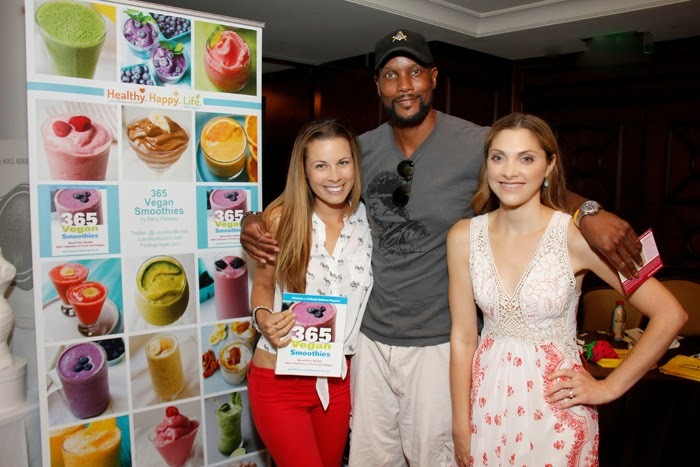 This event invited actors, producers and media in and around the television industry to mingle, celebrate the Emmy Awards and collect a boatload of free goodies. 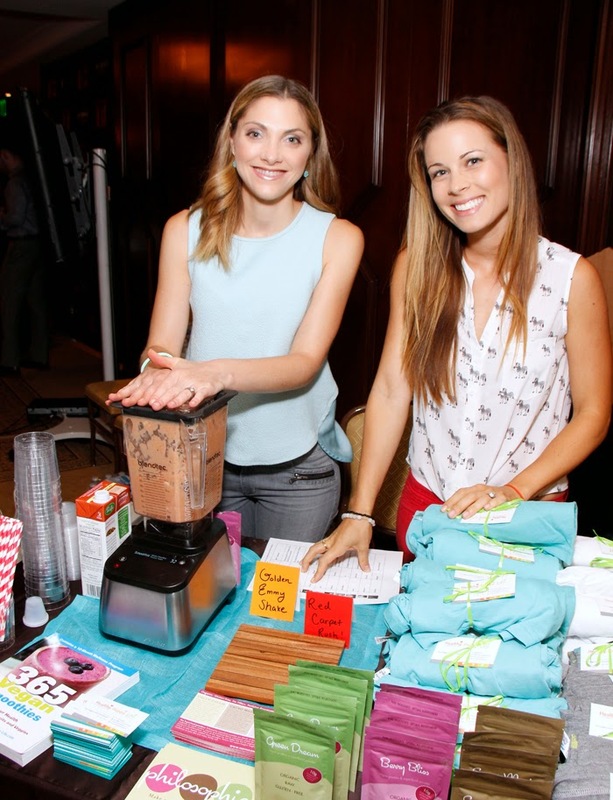 Events like these are always more fun with friends, so I invited Sophie from Philosophie to help me blend smoothies and chat with the guests. 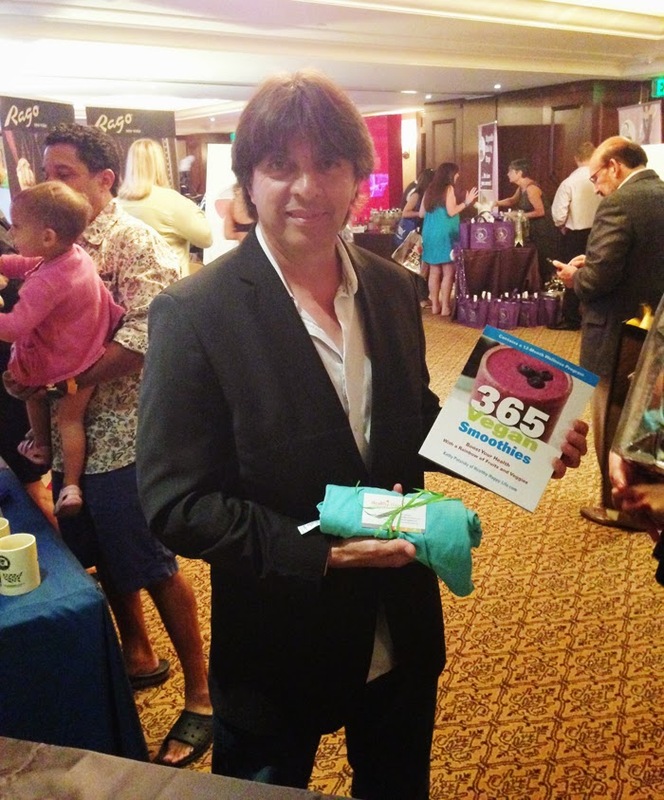 Check out my Scenes From an Emmy Awards Celebrity Gifting Suite..
* Shelter pet adoptions are on the rise, despite the ongoing recession and high rates of unemployment. Scene. I piled everything into my silver hatchback car. The phrase, stuffed to the brim, was an understatement. In my car went boxes of heavy smoothie books, ingredients for the smoothies in a giant cooler, assorted giveaway goodies, business cards, and more. Loading the car was a two person job, requiring multiple trips, and savvy Tetris-like skills to make everything fit. Friday morning. My pre-event adrenalin was high and my eyes wide. I was ready for the crazy-fun Friday. I woke at dawn, to Britney Spears "Work B*tch" blasting on my iPhone alarm, and a pink and orange sunrise outside my window, though I had no time to stop and gawk. I glammed myself up and drove across town to Beverly Hills. The What. The event had two purposes. 1) To celebrate the Emmys and the talented celebrities working in television by handing out VIP gift bags. 2) Give back by supporting charities. 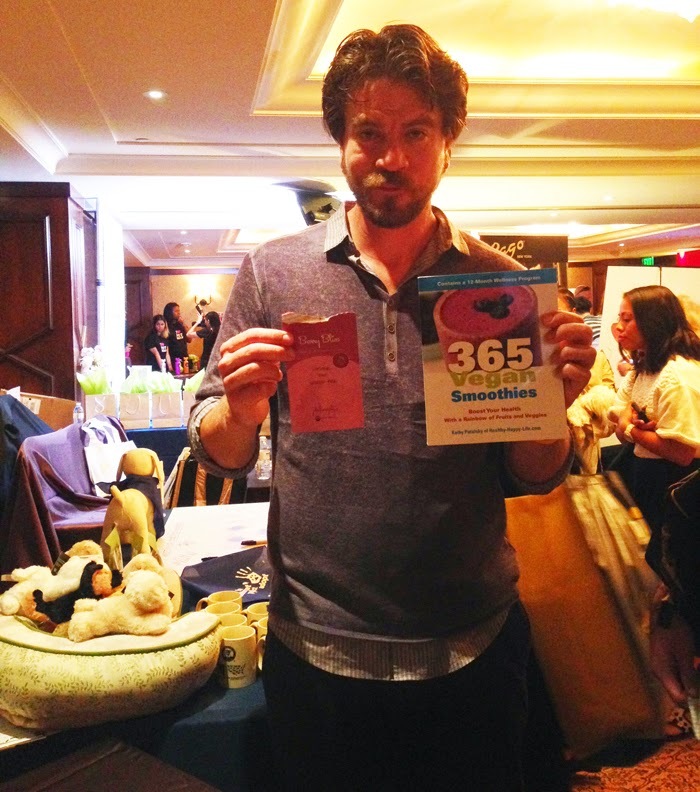 This event supported the Humane Society and The Shelter Pet Project. 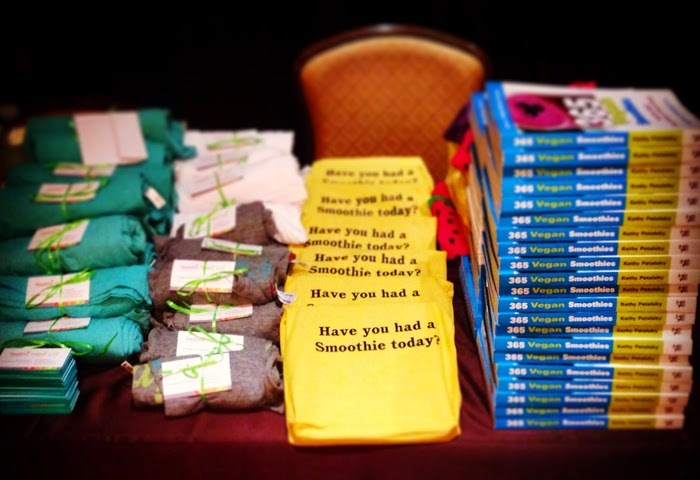 The blurry exciting whirlwind day was a success because I handed out all my books to eager recipients and Sophie and I blended up a huge batch of smoothies. 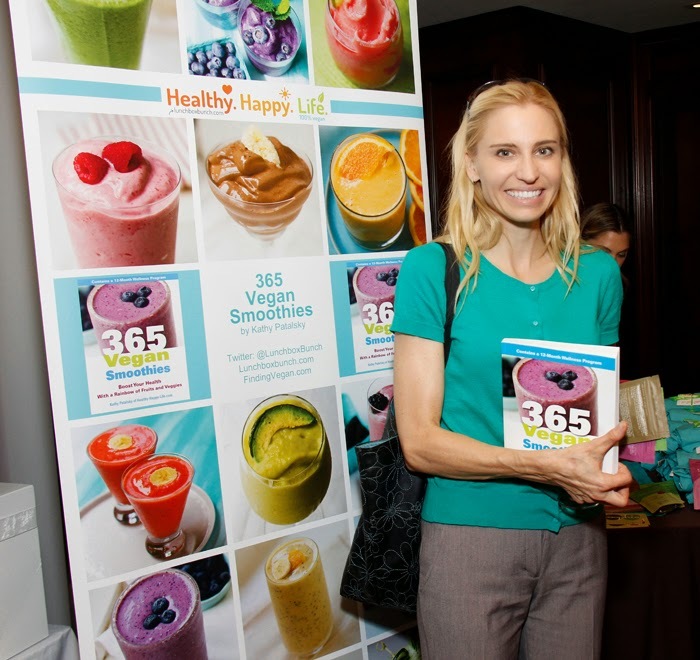 I hope the guests enjoy my book and embrace a smoothie-a-day habit. Thank you Amy from Secret Room Events for organizing such a fun and memorable day. 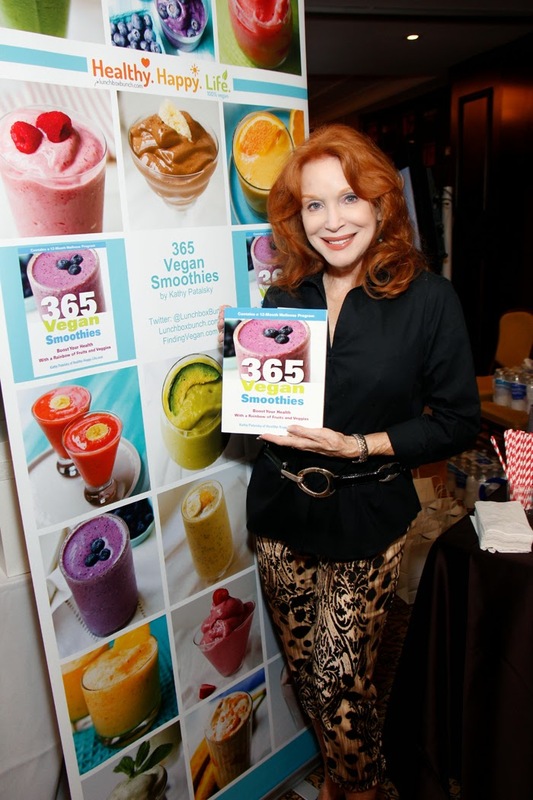 Scenes From my Emmy Awards Gifting Suite..
We blended up plenty of smoothies for the guests! Frozen banana + frozen watermelon + almond milk + turmeric + Berry Bliss in each sip. Coolest person I didn't expect to meet: Melissa Disney! Who is she? She announced the Emmy Awards! You know when that person says, "And now presenting Best Actor in a Drama, Brad Pitt!" (Or whatever) That is her! 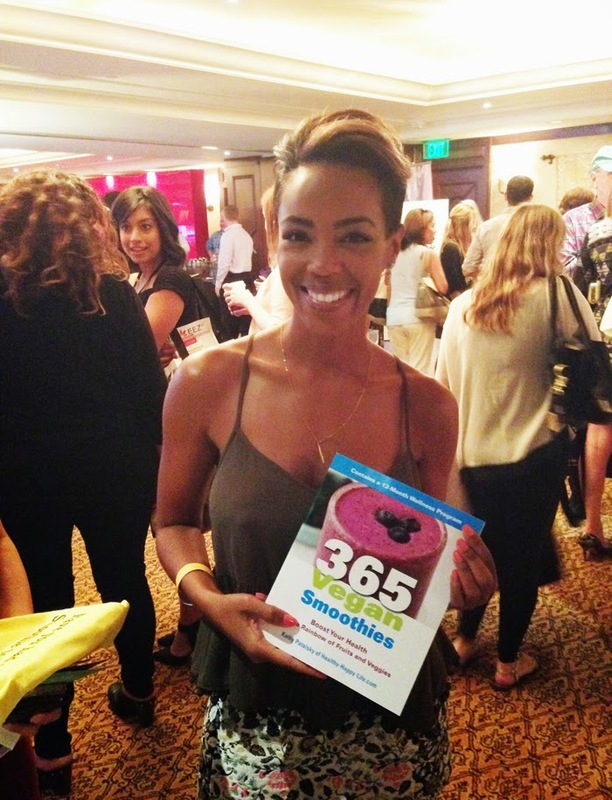 And she was more than happy to take home my smoothie book. 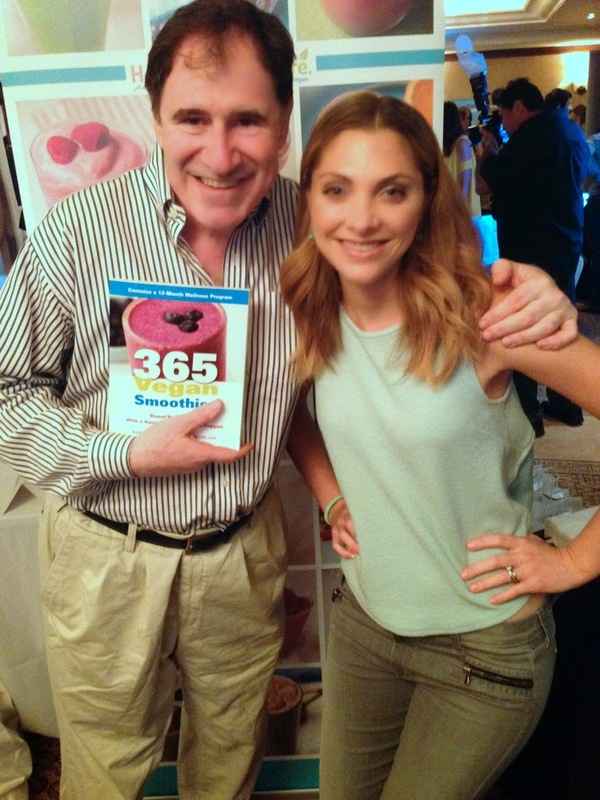 The sweet and funny Richard Kind was happy to stop by our booth and mingle. Loved him in Spin City and a million other great projects. 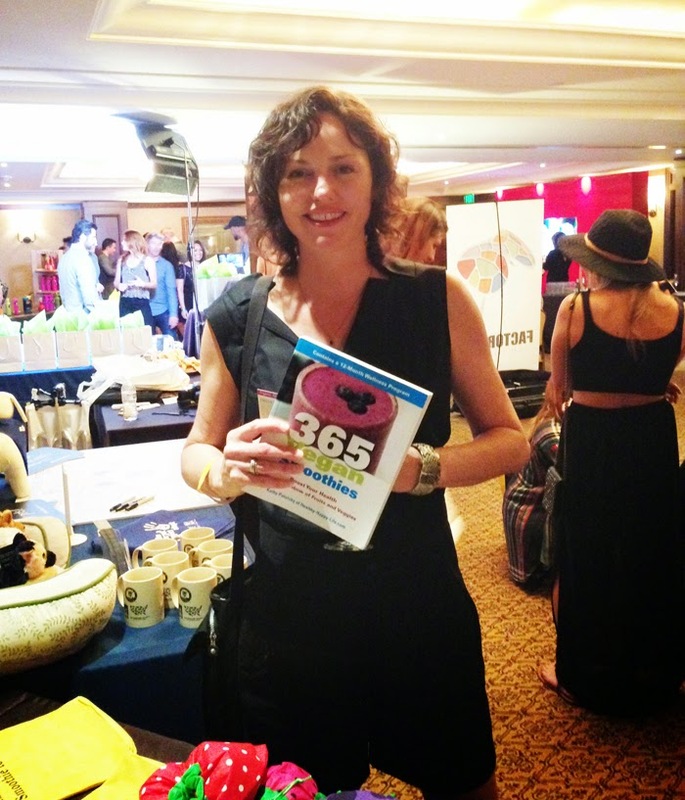 Loved meeting vegan surfer girl Tia Blanco! Follow her on twitter.. 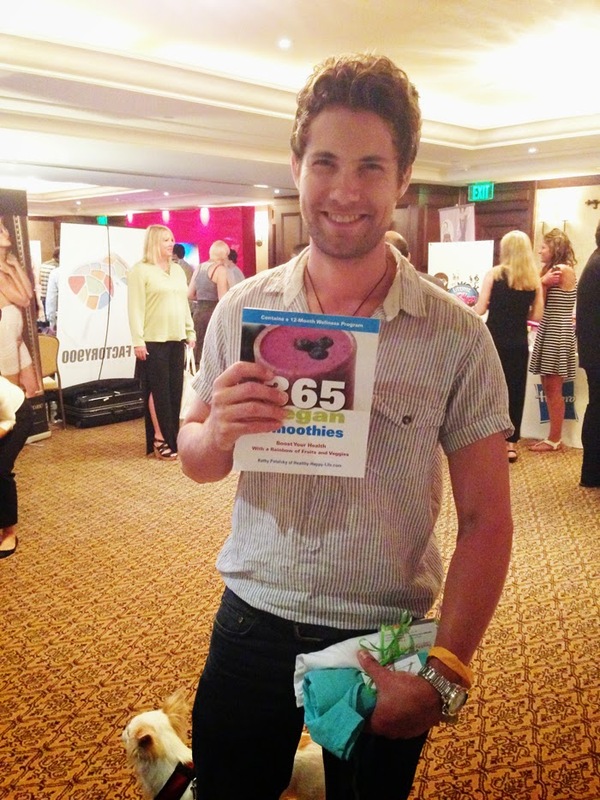 I was excited to meet George Nerbern as he stopped by our booth! You may recognize him from Scandal .. or how I recognized him, he was the groom in one of my fave movies ever, Father of the Bride. George on twitter. Love this vegan beauty! Victoria Summer, who played young Julie Andrews in Saving Mr. Banks with Tom Hanks, as well as a role in Transformers 4. She is vegan and gorgeous. She was happy to try our smoothie goodies. Follow Victoria on Twitter. 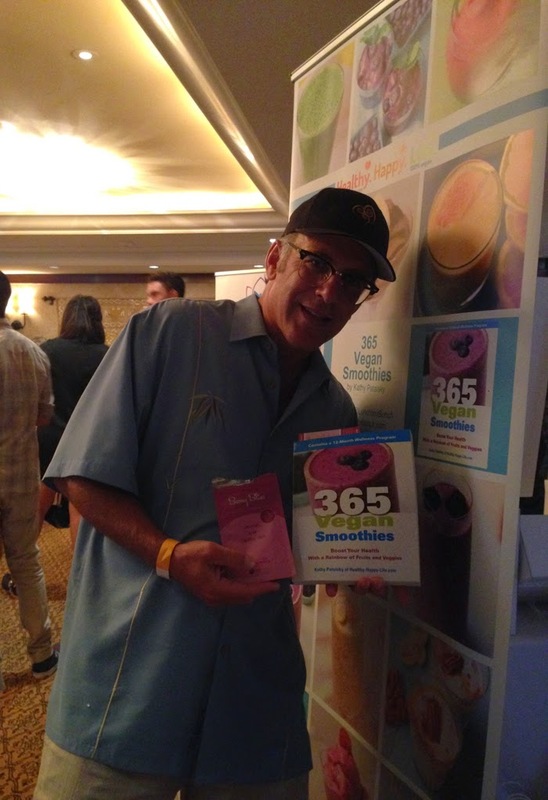 Marcus Shirock, who plays Cyrus in Hercules Reborn is a huge smoothie fan! Marcus on twitter. 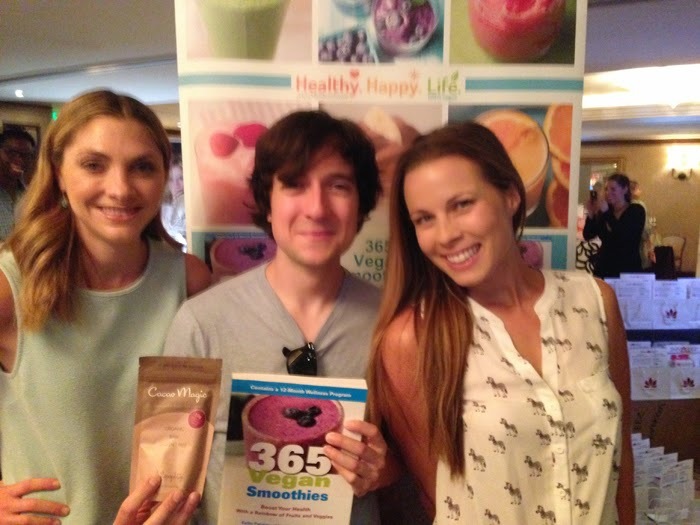 Josh Brener, aka "Big Head" from Silicon Valley popped over! Anyone else love that show?? 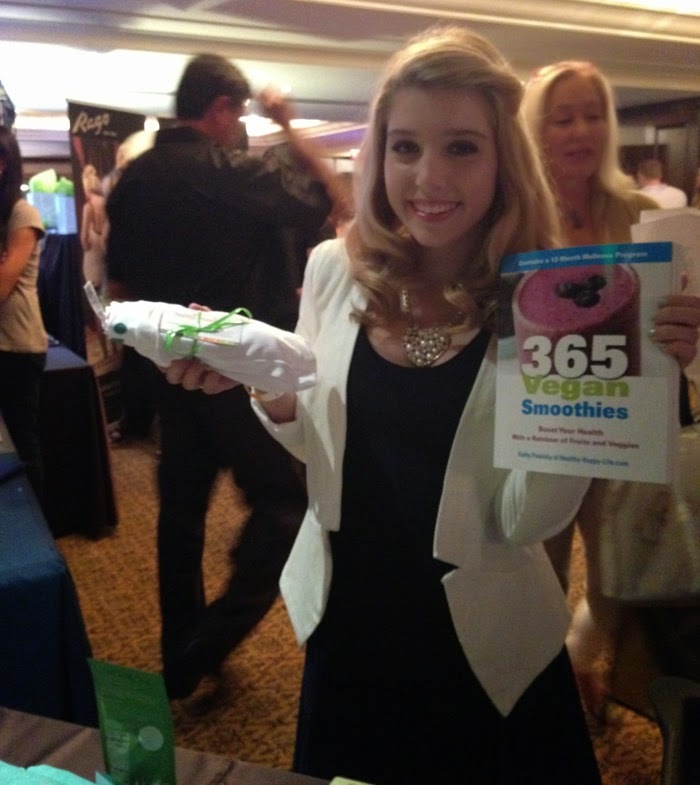 This cutie blogger Jillian was happy check out some vegan smoothies! Her blog is Teenage Wonderland. And my booth neighbors? 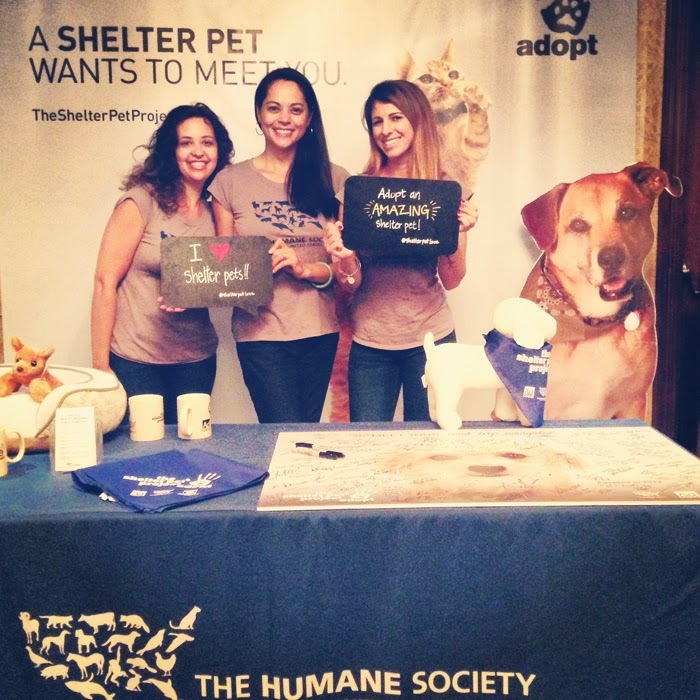 The lovely ladies from HSUS. Perfect. Sweetest booth neighbors ever. 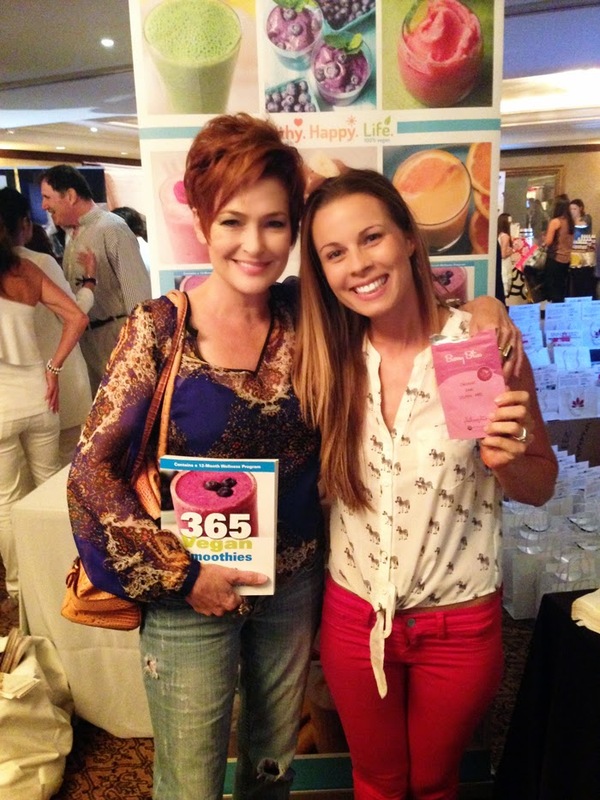 Loved meeting Zorianna Kit from The Huffington Post! So glad she could grab a book! 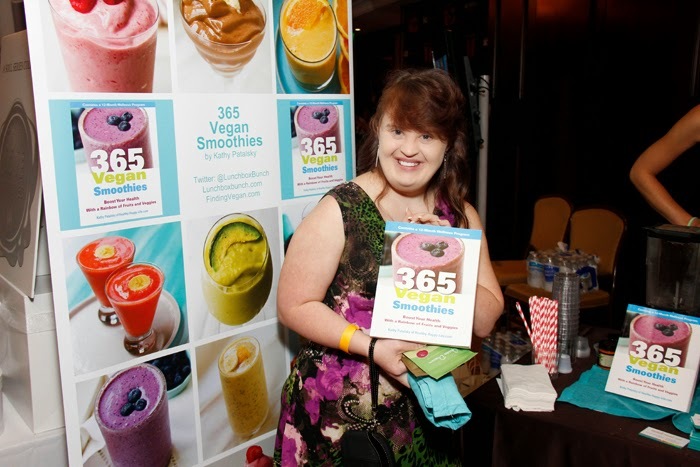 Jamie Brewer from American Horror Story..
Neil Everett of ESPN SportsCenter fame stopped by..
Charles Halford who played Reggie Ledoux in True Detective and was into the smoothies..
And loads more sweet and fun people stopped by to chat smoothies!.. And of course Sophie and I made the best of the long day by being the silly smoothie girls we are. End of the day salads from M Cafe..